Eye to Eye Television works with charities and agencies to produce outstanding advertising films for fundraising on TV and on-line. We take time to understand your organisation’s aims, your communication needs and your target audience. Only then do we produce a film to meet these requirements. We produce this to the highest standards and supply it to you on time, and at the price you have agreed. Our background is in documentary and factual programming. For nearly twenty years we reported on the urgent social issues facing our world. Now we work with organisations to help them raise the resources they need to achieve change. 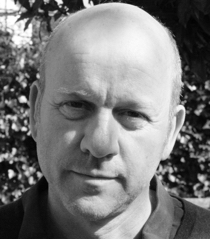 Mike began as a focus puller on commercials before joining Granada TV in 1986 as a lighting cameraman. 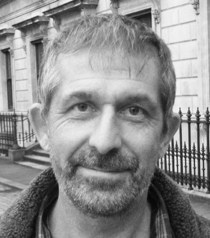 Over the past twenty years he has worked on a wide spectrum of television programmes, from anthropological films in the remotest parts of the world to fast moving fly on the wall observational documentaries and drama. He is decisive, good humoured and quick – an essential quality in today's busy production schedules. Andrew started his TV career as a researcher / assistant producer working in factual programmes and undercover investigations. He co-founded Eye to Eye in 1989 and has overseen the company's growth in the not-for-profit sector. He is responsible for all client contact and ensures the production process runs smoothly and successfully. © 2019 Eye to Eye TV. All rights reserved.